Never meet your heroes, so they say, although I suspect that was advice taken from the Twitter account of a man who tried to chat up a cardboard cutout of Kylie Minogue in Waterstones after ten pints of lager. Personally, I've never had a problem with my heroes. Having had a previous life as a racing fan long before succumbing to racing journalism, I had a lot of heroes in the sport who subsequently became people I was expected to pester, insult and malign on a professional basis. I feared the worst on many occasions, given that there was always somebody on hand to advise me that my next victim was likely to be terminally rude if, indeed, I could get them to say anything at all on account of their being an utter git, but those fears have almost always proved groundless, and even the rude ones have tended to be entertaining, as long as you have skin somewhere between rhino hide and asbestos. I remember chatting to Neville Callaghan and finally plucking up the courage to ask if he minded that (as I'd been advised by many of his Newmarket colleagues) everybody called him Nasty Nev. The ensuing ten seconds – as I pondered the fact that he didn’t even know – were probably the longest of my life but produced little more than a knowing smile and barely even an implicit threat of nastiness. I once waited four hours in an airport hotel for a leading jockey who texted to say he had been unavoidably detained. I expected him to eventually rush in breathless and appraise me of a crucial gallop at a top yard that had gone well enough to warrant a hasty call to the office and a lumpy bet; instead he recounted what he and his girlfriend had enjoyed for lunch at Wagamama's, perhaps expecting me to be impressed by his command of rudimentary Japanese. At least it was a good interview once we’d got past the banana katsu and the after-dinner mints. As I say, you can't take it personally. After all, in how many other top-flight sports are hacks afforded the time and patience we've come to take for granted in racing? Talk to football writers and they'll tell you how they have to fashion meaningful work from a collection of scraps thrown from a press conference table. 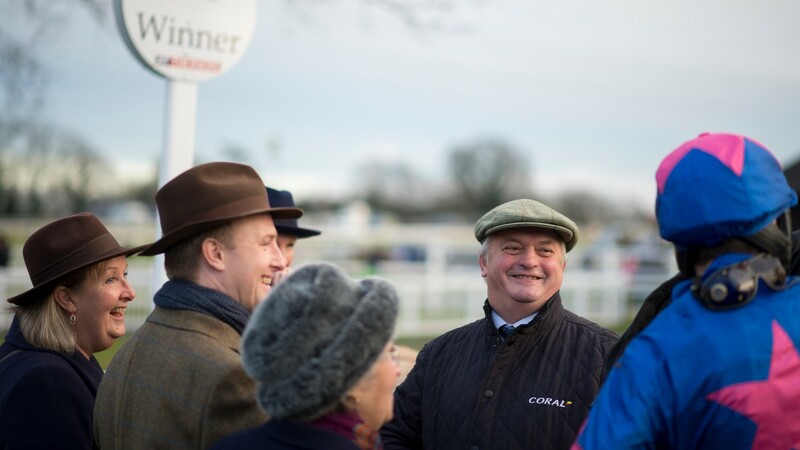 Compare and contrast with racing, where trainers (and even jockeys if you can catch them between rides, frantic car journeys or visits to the sauna) will routinely give up several hours of their time for the benefit of the broader racing public. I suspect some of them may grumble when I pull out of their driveway (along the lines of "I thought he’d never leave" or "did you see how many rashers of bacon he had?") but you’d never know it from their demeanour during interrogation, which is what really counts. The art of the very best subjects is never to let the irritation, boredom or fury show when they're asked the same question for the umpteenth time, to suppress the desire to abuse or strangulate, and I'd have to say there are any number who manage that not inconsiderable feat. Latest in the long line is Colin Tizzard, who might have been expected to take a while to adjust to his new-found white-hot celebrity as the trainer of the most asked-after horse in Christendom, but he's taken to it like a duck to water. Perhaps things will change when he's been on the treadmill for a few seasons, but at the moment, beneath the crafty sense of humour and the gruff Dorset tones lies a man openly enjoying the game he's involved in and happy to transmit that joy to anybody who cares to listen. He tells it like it is, or rather like I've always wanted it to be. Yes, it's important, whether you’re an armchair punter or somebody whose entire livelihood depends on it, but professionalism needn't preclude fun, and although Colin's wife Pauline apparently disapproves, he's lapping up the attention. “Why wouldn't I be enjoying it?” he'll ask you, entirely rhetorically. And we shouldn't forget Oliver Sherwood. Anybody who wasn't already a fully paid-up member of his fan club before the sad death of Many Clouds surely must be by now. It's not a question of sympathy, rather an appreciation of how an intelligent and articulate trainer with a deep sensitivity for the sport and its equally cruel and glorious facets can bring the very best out of a scenario that invites the very worst. Look at a spokesman for Animal Aid and then look at Sherwood and tell me which you'd rather be. It shouldn't take long to decide.